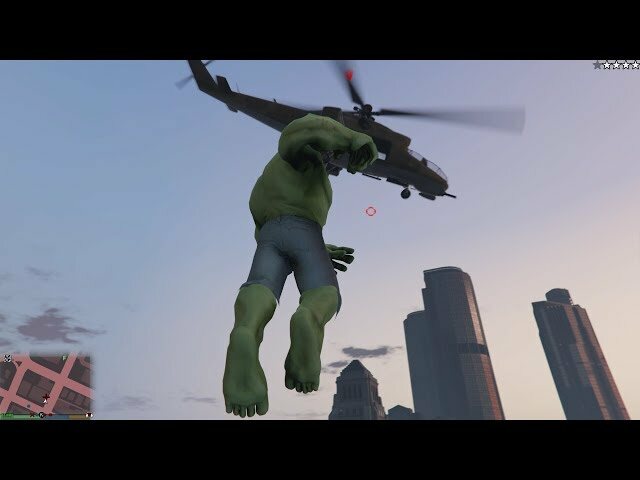 He ain't no Thomas the Tank Engine, but The Hulk in San Andreas will certainly do! We've covered this hilariously epic GTA 5 Hulk mod in the past, and who knew the big guy would be such a perfect addition to the Grand Theft Auto universe? Apparently the modder did, because he saw that vision and then made it happen. For that, we thank him. The team behind this incredible mod just released a brand new video showcasing the "you won't like me when I'm angry" big cheese in action. We even get to see him take on a helicopter ... which ... I mean, who wouldn't want that? Another interesting thing about the latest video from JulioNIB is that we get to see 17 of his special abilities including his ability to auto heal, super jump, super sprint, and incredible strength, grab and throw, and more. Plus ... that atomic slam? Please and thank you!